Every time I give out my email address, people always have a chuckle over my domain name and then they ask about it. Unique domain names were difficult to come by even back in 2001. 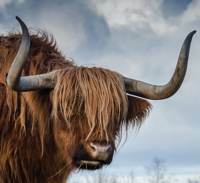 When trying to come up with a good name, I was reminded of a recent trip where I saw a wig store sign advertising yak hair wigs. You can figure out the rest. I've always been interested in old arcade games. Check out my projects. This should be a current copy of my resume, but because I don't have one prepared check out my LinkedIn profile instead. From time-to-time I might have something of general interest to share. Those thoughts will appear here. Sources on the internet tell you it's not possible to boot Windows 10 off a USB device on a Mac. It is possible, becasue I've done it before. Here's a howto I wrote up.